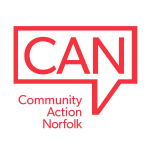 Norfolk Community Foundation have published their report demonstrating the impact of their grant making in 2017. The CQC (Care Quality Commission)’s annual State of Care assessment looks at trends in care, shares examples of good care and highlights areas for improvements. Healthwatch Norfolk has published a report into Autism services in Norfolk. The government’s Civil Society Strategy sets out the long-term strategy for how the government will work with and for civil society. The CQC (Care Quality Commission) has published their report into their findings of the state of care in urgent primary care centres.